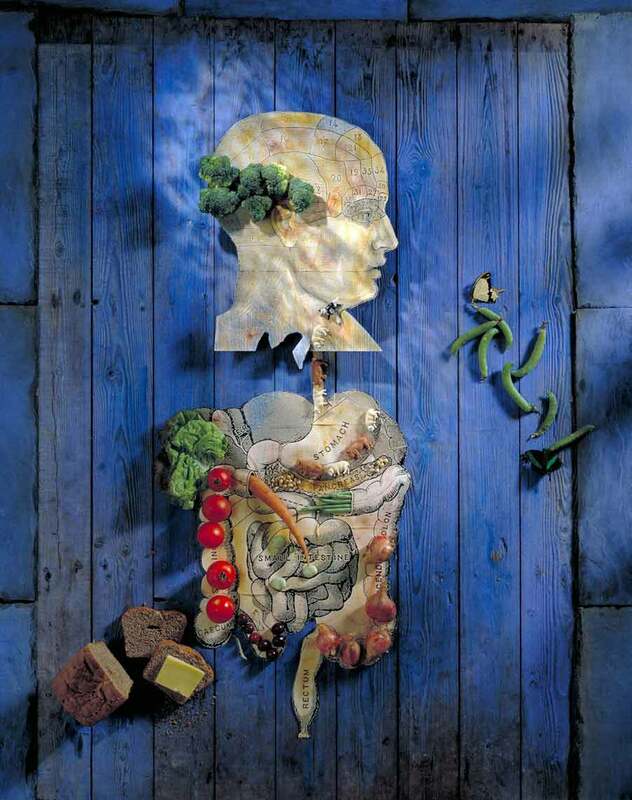 Paul Biddle built the set for his Organic Food photograph of an old engraving of the organs of a human torso with real fruit and vegetables arranged on it. Background of blue painted wood planks. Photographed on 5" x 4" film in a single exposure.